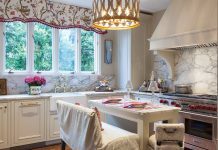 As sunlight pours in through the large open windows onto an interior rich in natural wood and French country style, this cottage kitchen comes to life. Located in the front of the house, the kitchen serves as a natural gathering place that is both intimate and inviting. 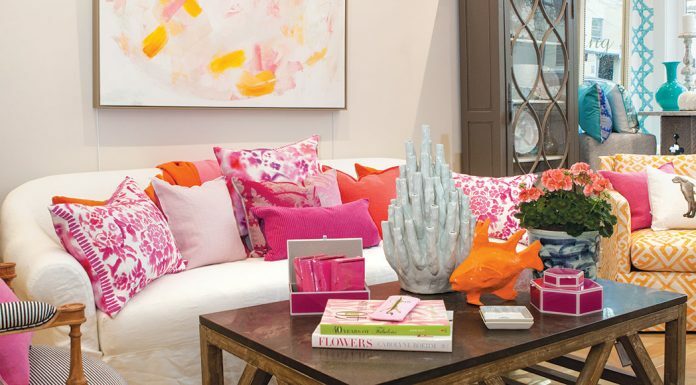 It is the space where homeowners Jim and Merrie Loper enjoy most of their time. 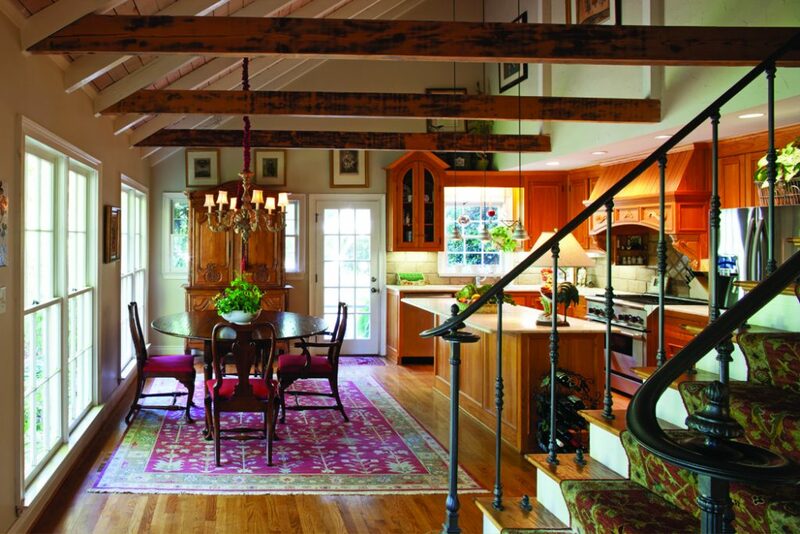 “I love my kitchen,” Merrie says, “My husband believes when you build a house it should contain one large kitchen and that’s about all.” And while the kitchen isn’t the only room in the Loper’s lovingly christened “Gardenkeep” home, its open layout and raised pine beam ceiling offers the perfect space for easy entertaining. The windows, which are purposefully left undressed, let in natural light and allow a view of Jim’s extensive landscape architecture. Keeping with a natural theme, the hardwood floors throughout the house flow seamlessly into the dining and cooking areas. “We like the natural look—informal, light, simple, and cozy,” she said, noting that they enjoy accenting their open flooring with rugs to enhance the sense of comfort and warmth. 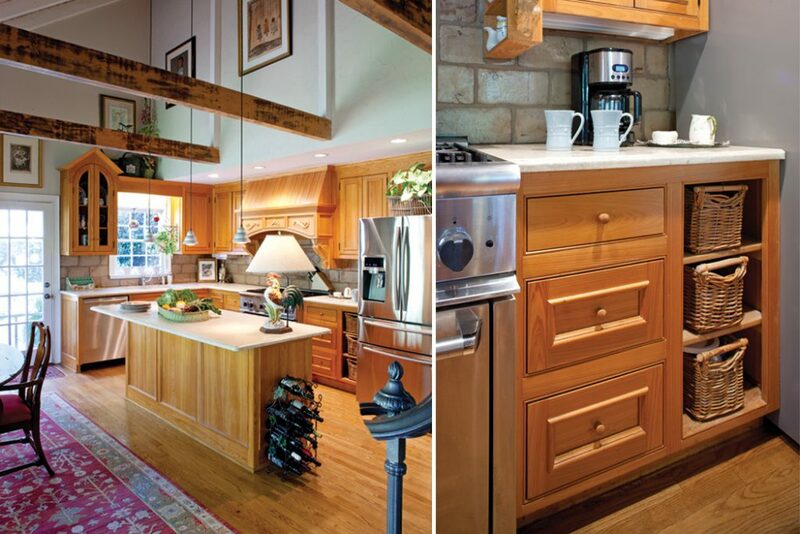 The cabinets, made of cypress, were chosen for their heavy grain. And the hood above the stove commands attention with its size and intricate design. 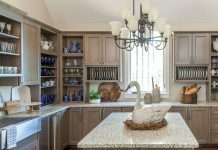 Merrie considers her kitchen informal, and says the ceramic tile backsplash was not only the appropriate choice but another opportunity to use natural, raw material. 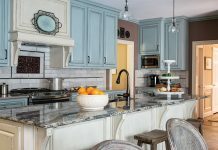 The kitchen is not only a great space for entertaining guests, but for family fellowship as well. Merrie said her family enjoys all of their meals at the antique kitchen table—unless, of course, the weather allows for outdoor dining on the patio.